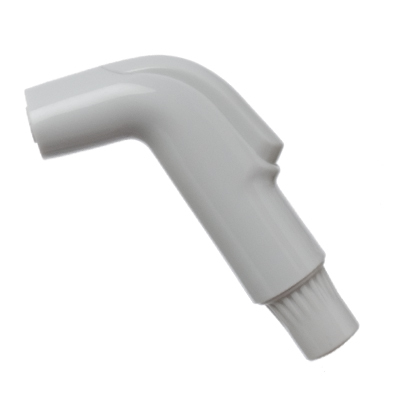 Handheld Diaper Sprayer [White] : Welcome to Sheepish Distribution!, All Natural Care Products! The White Diaper Sprayer comes complete with all attachments needed to quickly and easily attach to a standard 3/8 inch compression water valve (valve behind toilet). Each unit comes packaged with a hand sprayer that is protected by Microban®; a flow control t-valve; 4 foot reinforced white NSF Approved PVC hose; built in check valve in sprayer (one way valve); step-by-step picture instructions; and a matching wall bracket including screws & plastic anchors. Each unit takes approximately 5-10 minutes to install when using a standard adjustable pliers. 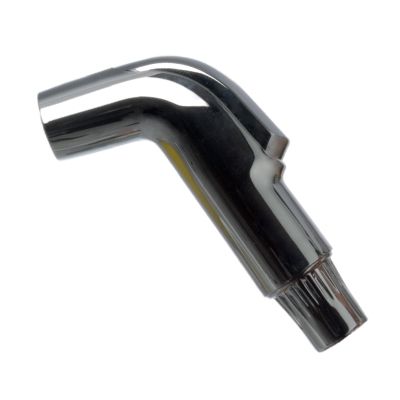 For your convenience, if you have a 1/2 inch connection, we sell a brass adapter and teflon tape which converts your water valve from 1/2 inch to 3/8 inch. PLEASE NOTE: Only 5% of homes in North America have the 1/2 inch connection. NB It is important that all Hand Held Diaper Sprayers are installed according to all local building codes.